Inspiration for days — Everybody's Invited! After nearly three decades of waiting, the day has nearly arrived. October 21, 2015 is the day that Marty and Doc travel to at the beginning of Back to the Future II. Since we are dorky fangirls, Tara and I have been eagerly anticipating this day since our childhoods. Newspapers play a pretty big role in the film, so you might want to adapt one of the images from the film and create your own newspaper-style invitation. Whatever you do, just remember no one should know too much about their own future, and never EVER call someone a chicken. It can only end badly. For more inspiration, check out Tara's Pinterest board. Every time my friend Faith and I hang out, we usually eat doughnuts. It’s the best. Our kids play while we stuff our faces with deep-fried delicacies. To host a successful playdate, you have to make sure the parents are happy too! And playdates always require coffee. Lots of coffee. This post is less of a theme party, and more of a delicious and slightly dressed-up kids’ playdate. It’s colorful (bubblegum pink, teal, chartreuse, and cantaloupe orange), spring-y, and fun. Hooray for what? Hooray for anything! Your job is to eat, chat, and caffeinate while your kids play. With older kids, decorating doughnuts with various glazes and sprinkles could be fun. Or it could be terribly, horribly messy. I’m trying to imagine my 2 year old doing this, and all I can see are trillions of tiny sprinkles cascading to the kitchen floor in slow motion. One of these paired with your roomiest sweatpants. Find more Coffee + Doughnuts inspiration on our Pinterest board! Mark your cosmic calendars! Cosmos: A Space-Time Odyssey with host Neil deGrasse Tyson airs next Sunday, March 9 at 9/8c on FOX. Like Carl Sagan’soriginal 1980 television series, Cosmos: a Personal Voyage, the new follow-up series promises to take viewers on an exciting exploration of time, space, and our place within them. With modern special effects, the new Cosmos has potential to make as big of a bang as the original. We love science as much as we love events, so we’ve been daydreaming about hosting a Cosmos premiere party. These are some of our favorite ideas, but there are billions and billions of other possibilities for a space-themed event. Small, intimate, appetizers, and (lots of) pie. A stylish, stellar space theme that isn’t too kitschy or quirky. A galactic gathering that’s out-of-this-world, but not over-the-top. Set the table with this DIY constellation table runner. And set the mood with a starry indoor night light. We love this giant star chart hanging behind a simple dessert table. Mr. Printables has a free constellation map available for download, as well as a map of the moon. Head on over to Yourparenting.co.za for Space Party appetizer ideas. Our very own, multi-talented Miss Hannah Kane made up an award-winning recipe (and story) for Galaxy Pie. This party needs a cocktail! In addition to the obvious (eating, drinking, and watching Cosmos), rent a telescope for your stargazing guests. Lucky for you, galaxy print clothes and accessories are everywhere. 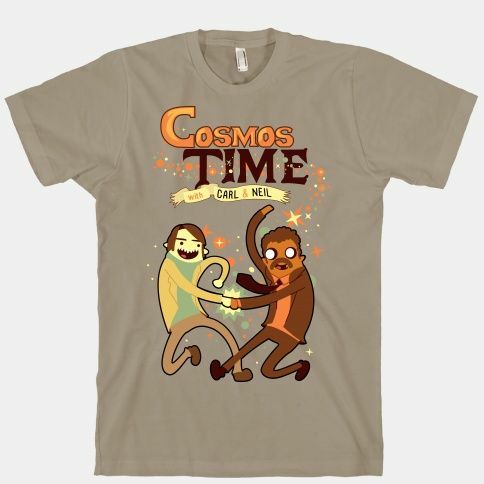 Pretty sure I don’t need to explain why you need this astronomically awesome t-shirt. What about you? Do you plan on watching Cosmos on Sunday? Will you be alone in the universe, or hosting a big bang of a bash with some of your friends? Whether or not you invite Pluto is entirely up to you (but know that Neil would say no). Since you’ve got a pretty short event horizon (it’s only 6 days away! 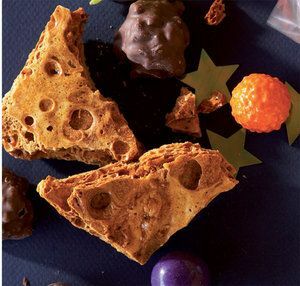 ), head on over to our Outer Space Theme Party Pinterest board for some last minute Cosmos Premiere Party inspiration! Oh, and one last thing . . .
Set the mood for a Cupid’s Arrow-themed breakfast in bed with a gold-dipped feather garland. As if pierced by Cupid’s golden arrow, your Valentine will feel completely love-struck with a surprise bow and arrow-themed breakfast in bed. Keep it sweet and simple with strawberry pancakes and heart-shaped strawberry slices. Get drunk in love with a Pear, Ginger and Raspberry Bellini. Capture your significant other’s heart with a lovely little gift, like this golden arrow necklace (Etsy.com has tons) or golden arrow tie clip. And maybe if you’re feeling super thematic and romantic, you could get little matching arrow tattoos. See more inspiration for a Cupid’s Arrow Breakfast in Bed on our Pinterest board. Do you have any romantic Valentine’s Day plans? If you’re having a hard time thinking of something extra special, Chris is amazing at helping people craft the perfect moment. Let us know if you need a little help!